Our Gospel message today is simple. We are being told to be ready, to be prepared, to live every day as if it were the day before we meet Jesus our Lord, our Creator and our Judge. We are being told to take all His lessons, all His teaching and apply it every day of our lives. See, it a very simple Gospel today, but it is far from an easy Gospel . We don’t, we can’t live perfect lives. We are human, make mistakes; we are greedy, cruel, lazy and stupid. But we are also, as we are called to be; kind, caring, hardworking and filled, if we ask to be, with the Wisdom of God. I love our first reading today about Wisdom. We are promised Wisdom will be there when we look for her. We just need to open our eyes and look. To seek her out and she will find us. 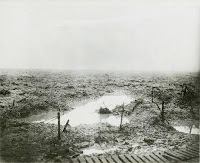 I’ll come back to our first reading and finish this homily by re-reading it for you because I can think of no better way to remember the fallen of war than by seeking Wisdom, and with that Wisdom maybe finding a way to end all war. In the first month the causalities were more than double the total population now of Yate, Chipping Sodbury and Kingswood. The lowest estimates of allied causalities would be the same as every man, women and child currently living in Downend. The higher estimates of total causalities from both sides would be about the same as today’s population of Bristol, Bath, Chippenham, Cheltenham and Swindon. That’s almost everyone who lives within the borders of our diocese, everyone. We have to remember those that died and those that returned. We have to remember the cost of war, the cost they paid. We have to think how lucky we are for the peace we enjoy. We have to pray for the wisdom to not make those mistake again. We have to live daily lives that honour their sacrifice. We have to live daily lives that respond to His Sacrifice. His Sacrifice that brings forgiveness for our mistakes and for our sins. The price they gladly paid. Now those are good questions. Take a second now and think about the last three years. What did God ask you to do and what have you and God been doing. I have asked myself the same questions believe me I know it’s not easy to respond to or even hear the call of God. The call can get lost in all the noise and activity of our daily lives. Then if we do hear His call, will we have the courage to respond, the courage as Peter did, to step out of the boat. While I can think of a thousand challenges for you for the next three years. You could read here at church, teach at our children’s liturgy, arrange flowers, clean, prepare for Mass, welcome, sing, lead bible study, join one of the committees and arrange social events or our liturgy, you could lobby parliament or large corporates for justice, you could invite your neighbours to church events, you could feed the homeless and support the poor, help stop slavery, you could do so many things. But it’s not about me telling you what to do, it’s about God telling you. What you should do first, is listen to God. He actually knows what he wants you to do, so my only recommendation is that you try and find out what that is and give it a go. Elijah, spent a night alone in a cave waiting for God. In the morning Elijah listened not to the mighty wind, not to the earthquake, not to the fire, but to the gentle breeze. If you are too hear God in our big and noisy world you need to find quiet, you need to find time alone, you need to listen to the voice no louder than the breeze. The strange thing is once you start to listen that voice, the still and quiet voice has the power to be heard above the loudest of storms. Take for example Peter and the disciples on the boat in the storm. They were able to hear His voice in the storm, “Courage! It is I! 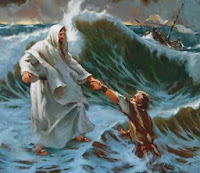 Do not be afraid.” Peter in response to our Lords call, stepped from the boat and walked upon the water. Could you do that? Would you do that? I have no idea what our Lord will ask of you, I don’t know if it will be easy or hard, I don’t know if you have the skills and abilities to do it, but I do know, I do believe, I do have absolute faith that if God asks you to do something, with his help you will be able to do it. Peter soon got scared by the winds and started to slip below the water, and I wouldn’t be at all surprised if that started to happen to you when you start to do something new for the Lord. Few if any of us would feel we had the faith to step out on a lake and walk across it. And none of us could achieve even the smallest thing for God, if God wasn’t involved. I want you to listen to God. Pray to Him and ask Him what He is asking you to do. Listen, listen and keep listening. He might not tell you immediately, you might not hear Him immediately. Once you start to hear, don’t panic. Once you start to think I should be doing something about this or that, I should be helping here or there. That’s when you start to pray for the strength, for the faith, for the gifts to do what’s being asked. That’s when you start to talk to your friends, the people in the pews next to you, Fr Frank and Fr Jim, even me. God may be telling us the same thing or just to help you. 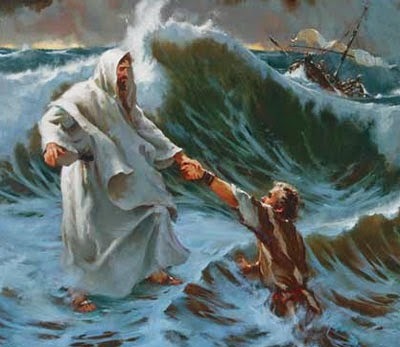 Once you start and things start going wrong cry out for help and I promise you, Jesus will reach down and pull you up, just as he pulled Peter from the lake. We are called to be a people of hope, a people of action, a people of God, a people who are called by God to serve. In three years’ time when you next hear these readings what will God have asked you to do and what will you being doing with God. Be the seed that grows. Let me ask you some questions. You don’t have to put your hands up or shout out answers. Just ask yourself the question and think about your answer, and if you would like the answer to be different. Are you the seed that falls at the edge of the path and is carried away? Do you find it difficult to understand the Christian message? Are you the seed that falls on rocky ground? Do you love what you hear in Church but forget it during the week? Are you the seed that falls among thorns? Do you place the worries and desires of the world above your faith? Are you the seed that falls on rich soil? Do you work for the church for your faith and help those around you? If I am honest I can answer yes to all those questions at some time in my life. And that is where this beautiful parable breaks down. Seeds don’t move themselves once they are planted, but you can. Jesus is talking about faith, your faith! You have to work at your faith, work at being Christian, work at being a member of this family. Let me say right now how proud I am of all of you in this parish, the work you do. How privileged I feel to be able to live my ministry among you. This is a vibrant and growing parish, an active church that is an example for parishes in communion throughout our diocese and country. But I also want to challenge you to do more, to learn more, to put yourself in a place to be given more by God. As we grow as a community we should do more for this church and for the wider community it is part of. As we do more God will show us the needs of the community and ask us to minister to them. We need to be involved we need to be looking for things to do. We need to be willing to step outside of our comfort zones and risk disappointment, criticism, embarrassment and pain. As you might guess I work with the leaders of many of our church groups, both here and across our communion of parishes. I have seen shy and scared people volunteer for roles they were scared to take on. I have seen them grow, like little saplings to mighty oaks. A man who had never spoken in public volunteered to give a lecture to new Christian’s at the RCIA meeting. A lady with no leadership experience volunteered to be on the committee of the CWL. A young man terrified of reading aloud in front of other people because he couldn’t read well and wouldn’t make sense, gave in and agreed to read at Easter. The first man now leads regularly in the RCIA and teaches with an authority and knowledge that inspires those attending the group. The lady went on to hold multiple positions and even campaigned for the roles of nation president. The young man found that with practice he could read and he is now standing here giving this homily. I don’t know where my journey will end, God is still giving me more to do, and I am still terrified about the next thing I will be asked to do. I understand that you have many demands on your time. I understand that you may be scared about doing something you have never done before. I understand being comfortable and not wanting to change. But while I understand all those things I still believe you can do more, I still believe you should do more, and I know, I know with absolute certainty that by doing more you will be given the gifts to grow and thrive. God will support you and help you grow. I challenge and implore you, to be the seed that moves to rich soil. Be the seed that grows, be the seed that produces a crop a hundredfold. If you do, no when you do, you will be amazed at what you can do and the joy that comes from serving God.